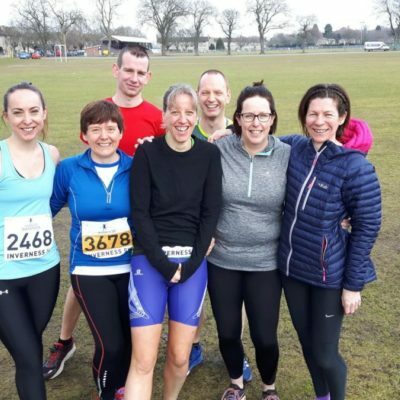 Six club members in action under sunny skies at Turriff Sprint on April 15th. Julie & Malcolm in action in the novice race. Alan, Dave, Matt & James in action in the sprint race. Julie & Malcolm took an excellent 1st & 2nd in their respective super vet categories in the novice race. While Matt & Dave took an excellent 1st and 2nd in the super vet sprint. 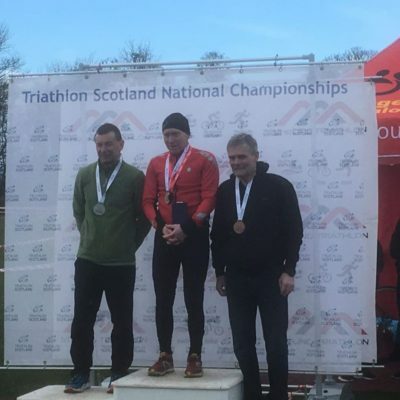 Locals Jonathan Aitken, Graham Whyte & Dave Reid were all in early season action at the Scottish Duathlon Championships in Stirling at the end of March. 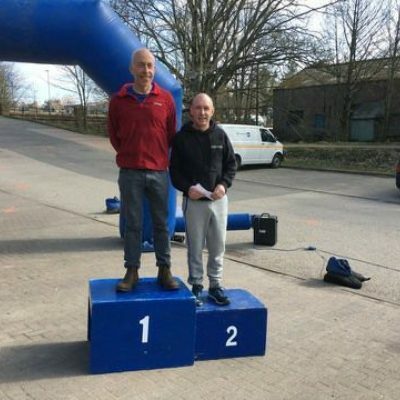 There was some solid early season form on show with Jonathan finishing 4th in the 20-24 age group (37th overall), Graham taking a podium 2nd in the 60-64 age group (59th overall) and Dave taking 5th in the 50-54 age group (70th overall). The champs doubled up as a qualifying race for the World Age Group Standard Distance Duathlon Championships taking place in Pontevedra in 2019. Both Graham and Dave managed to secure themselves GB Age group team qualification. Great efforts, well done all! 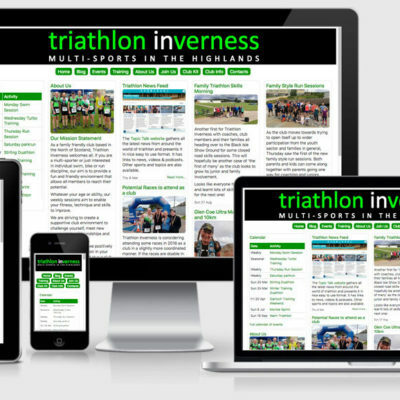 Plenty of members in action at the Inverness Half Marathon & 5km Sunday 11th March. Lots of hard work has been put in both individually and at Thursday night club run sessions since the new year. All the hard work has paid off with a number of sizeable PB results for club members. If your looking to improve your running join us every Thursday night 6.30pm at the highland university campus. 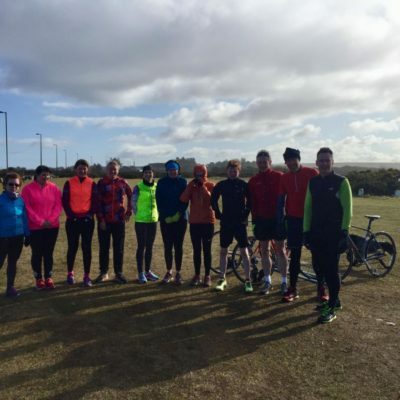 Head to our Running session information to find out more. 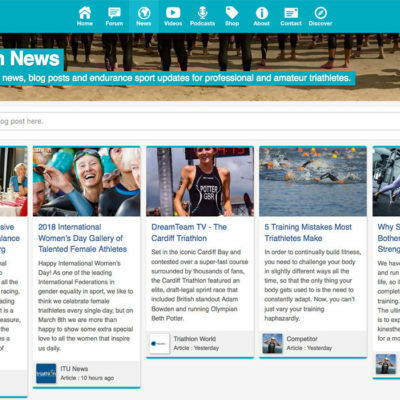 The Topic Talk website gathers all the latest news from around the world of triathlon and presents it in nice easy to use format. It has links to news, videos & podcasts. Other sports and topics are also available. 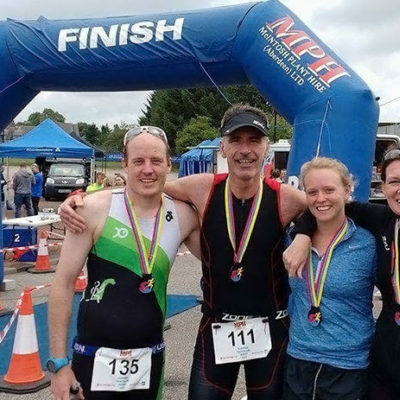 Congratulations to all who took part in the Nairn Triathlons, both the Novice and Sprint events. A huge thank you to all the volunteers who gave up their time both on the day and in the weeks and months leading up to the event: it wouldn’t happen without them.